**Note** With this FREE download you'll receive the full /p/ sound program with the option of purchasing additional sound programs within the app. 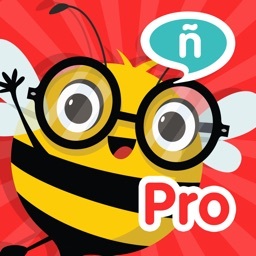 Learn how to pronounce and practice all the sounds in the Spanish language with 6 engaging articulation activities! 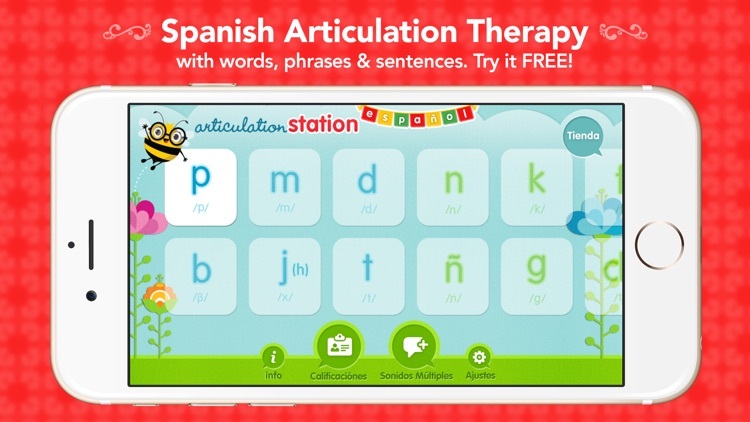 Created by certified Speech-Language Pathologists, Articulation Station Español is a full featured articulation application to help children as well as adults learn to speak and pronounce their sounds more clearly. 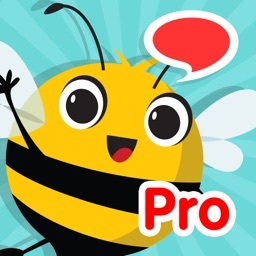 Beautiful high quality images represent target words to be practiced in 6 fun filled activities at the word, phrase, and sentence levels. Activities are to be practiced with the assistance of a Speech-Language Pathologist, teacher, or parent. 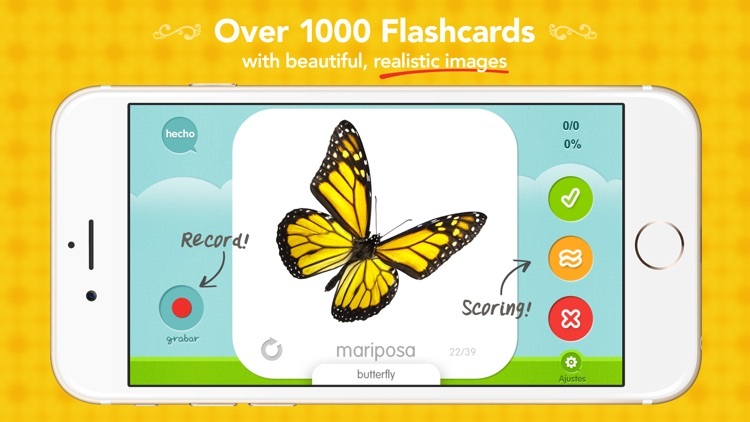 - Flashcards activity- These beautiful, real life images are attention grabbers! 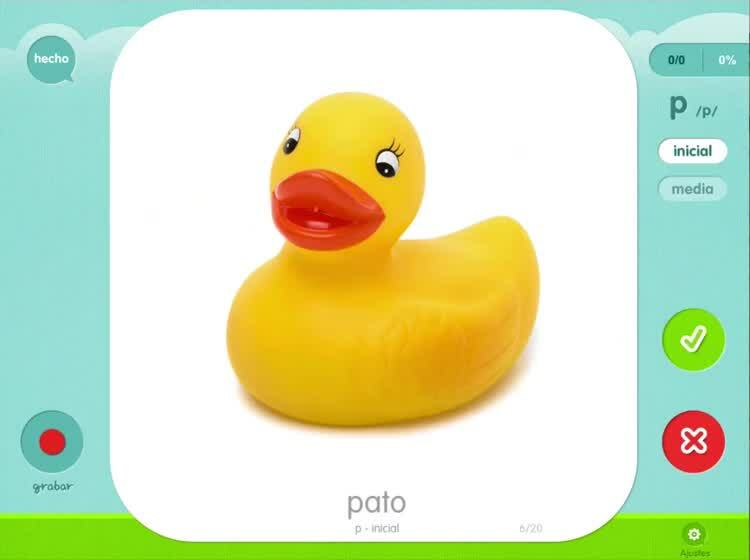 Children and adults will love swiping through them and therapists will love the consistent number of flashcards throughout the entire application. Voiced audio model included! 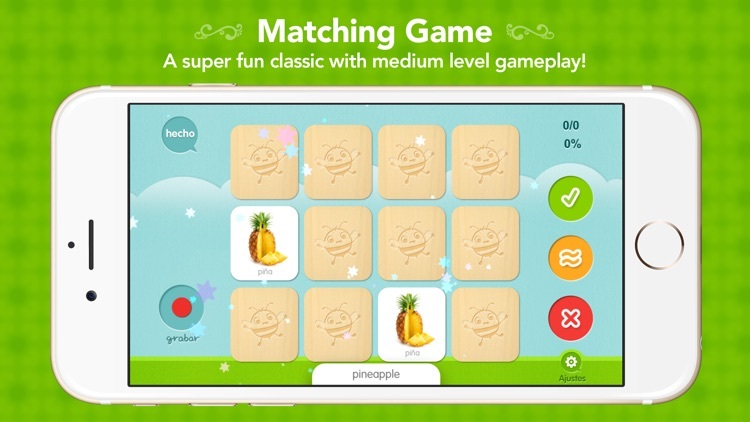 - Matching game -- This super fun matching game is a great way to keep children and adults engaged in the activity as they practice sounds in words. 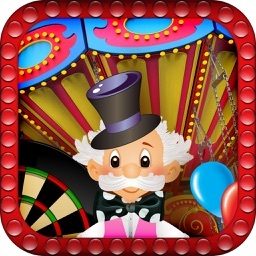 The medium level game play makes it appropriate for kids and adults of all ages. - Rotating sentences -- In this activity the sentence stays the same while only the target word changes. 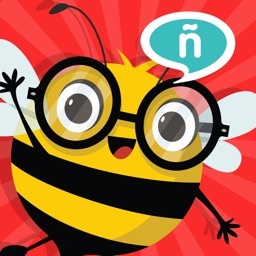 For example the rotating sentence for the /p/ sound in the initial position is, “El perro del payaso quería más pez .” With a spin of the target word the next sentence might be, “El perro del payaso quería más pepino.” Each rotating sentence has picture prompts and multiple target words. So much fun!! 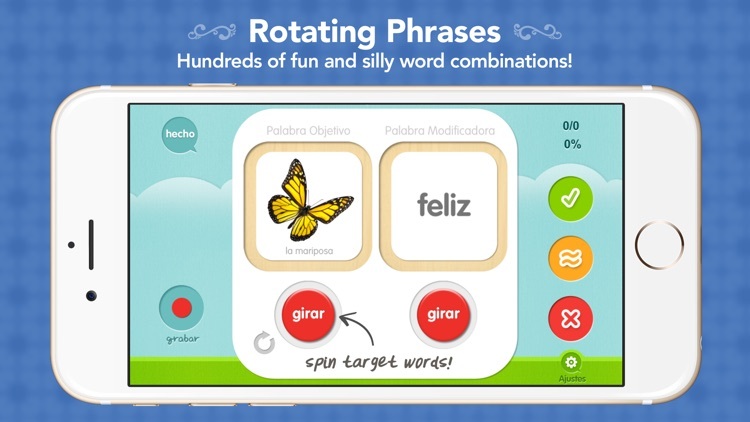 Each target word in the app was chosen very carefully. When possible, words were chosen that are common among dialects but in the end articulation targets were prioritized over regional vocabulary differences. We hope you enjoy using Articulation Station Español with your little ones. 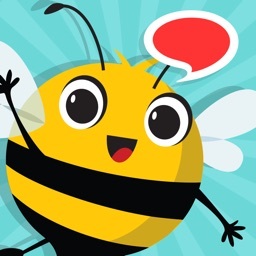 Please take a moment to review the app in the App Store so we can continue to improve it. Enjoy!